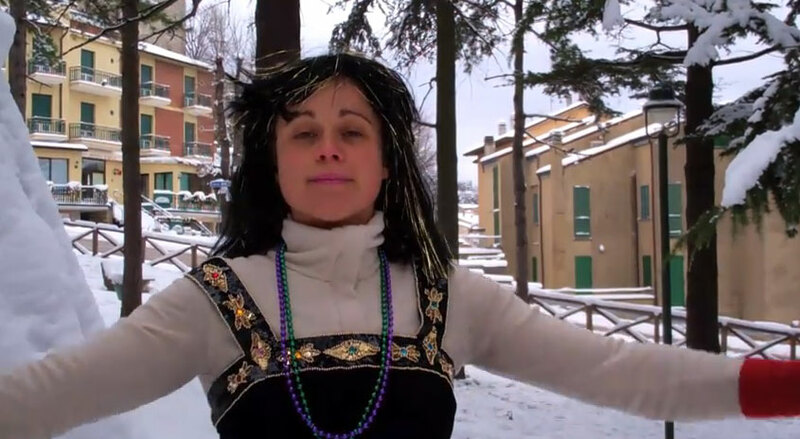 So after spending an awesome week in New Orleans with Jessica making some awesome Madam videos, playing around & discovering the character, she had to return to home to Italy. She managed to pick up a Flip camera so she could continue making Madam videos on her own, however she did not know how to edit them together, so I arranged for her to send me the video clips and I would continue editing the videos & managing the YouTube account. This was also a fun thing for me, because I would have no idea what her video was about, or where she was going with it, and I would be surprised by what kinds of cool visuals she would discover. 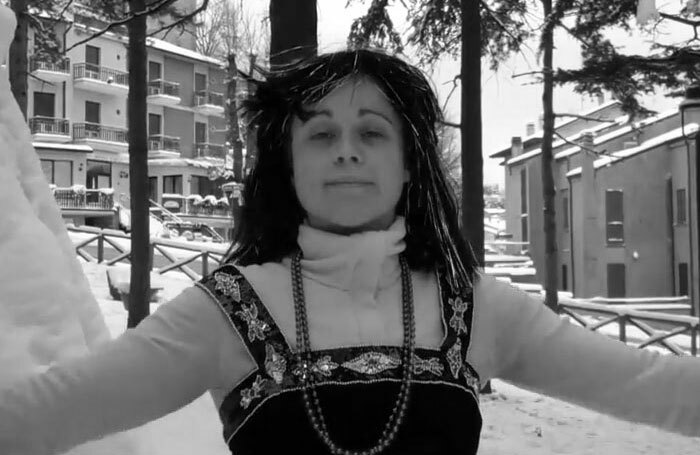 By the time she got back into the character in Italy, her little town had been blanketed in white by a blizzard. The snow provided for some amazing opportunities to do great backwards action. The highlight of this episode is when the magical fairy dust lifts the sadness away from Madam!